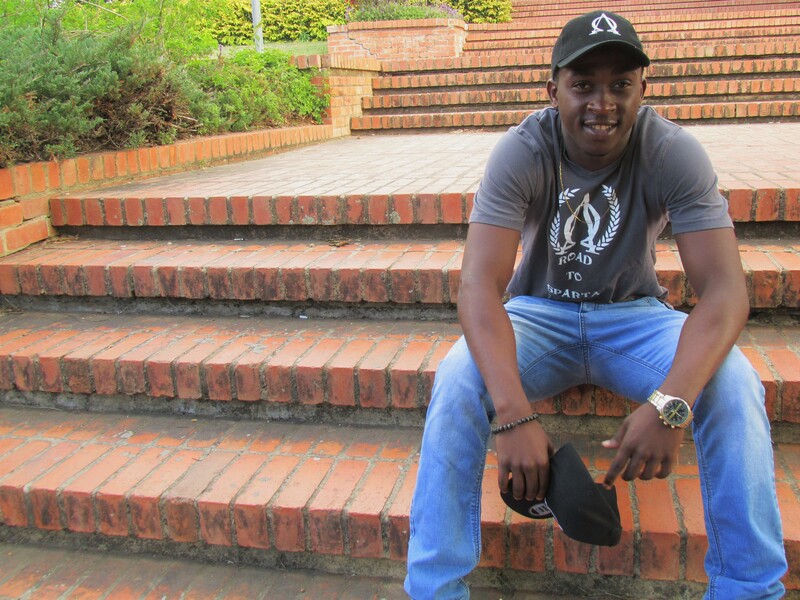 Tinashe Marufu is a full-time student. In his third year studying a Bachelor of Commerce in Accounting, he’s always known what his career path would be. “I fell in love with accounting in high school, so I’ve always wanted to be a Chartered Accountant.” His dream has not come without hurdles: unlike the usual degree that requires two majors, a BCom Accounting has four majors. Every step Tinashe takes in becoming a chartered accountant, the harder it gets for him to reach the prize. But it’s a challenge he relishes. The demands of his programme have pushed him to challenge himself and create new ideas – ideas such as Road to Sparta. “The idea of Road to Sparta came to me in 2015,” Tinashe says, shifting slightly as he speaks. A self-confessed fitness junkie, Tinashe began hitting the gym in 2014 because he was overweight. “I didn’t like the way I looked. It used to bother me a lot and so I decided to work out.” When he started to see results from his efforts, others saw his transformation too. Soon people started coming to him, asking for advice, wanting to learn how Tinashe did what he did. He was happy to help where he could, but Tinashe soon saw that he could capitalise on his fitness knowledge. The Road to Sparta brand has grown tremendously over the past few months, and Tinashe believes that it’s not just down to his fitness and business acumen. The people who buy the merchandise have put Road to Sparta where it is today. “Most of the people who have bought from me are actually black. Most of the people that brought Road to Sparta where it is today are black people.” With the right mentality and the right support, Tinashe doesn’t doubt that Road to Sparta can compete with big brands such as Adidas and Puma, and if his brand is still a viable enterprise after graduation, Tinashe will pursue it full-time. And so, Tinashe keeps pushing. With every purchase and with the expansion of its range, Road to Sparta is one step closer to becoming an established and recognised brand. It wouldn’t be where it is now without its creator, the man with big dreams and solid plans to run a proudly black African business. With plans to officially launch Road to Sparta in Zimbabwe during the December holidays, Tinashe’s well on his way to making Road to Sparta a success story and African fitness brand. To find out more about the Road to Sparta brand and how to get your own piece of merchandise, check out their Facebook page for details. ← Previous Post Nigel: Young. Zimbabwean. Gay.